This is the starting point for all trainee motorcyclists and is normally a one day course. The first part of the CBT is conducted on an off road manoeuvring area where you will ride the machine until competent. This part of the training incorporates all of the basic riding skills - use of the controls, moving away and stopping, slow riding, changing gear, turning left and right etc. You will then ride the machine on the road for at least two hours. During the road ride your instructor, who will be in radio contact, will accompany you, giving you both directions and tuition. The training will end when you are able to ride on the road, on your own, safely. 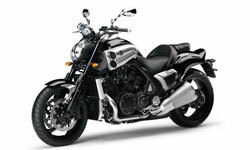 After completing the CBT you will then be allowed to ride on your own, on the road with 'L' plates for up to two years. After this period you will then either re take your CBT or have passed your full motorcycle test in order to continue riding. Courses available for A1, A2 and A and training will be given on appropriate bike. Package Costs - includes CBT, Theory Test, Mod 1 and Mod 2 Test fees, 2 practice sessions at the test centre for the Mod 1 training, lessons, use of our bikes, helmets and gloves. It also includes free use of our Theory Test pro Site. During this training you will have to take a Theory and Hazard Perception test. This is taken at one of a number of theory test centres. Click on the DSA logo above to go to the website which contains further information and some mock tests for practice. When booking you will need to be in possession of both your driving licence and a credit or debit card. Manual handling, slalom, figure of eight, cornering, hazard avoidance, controlled stop, 'u' turn, slow riding and emergency stop. After passing this you will then undertake further training to bring you up to a standard in order for you to pass. The second part is an on road test and incorporates an eyesight test, road safety questions and at least 30 minutes of road riding. The road riding will cover a variety of road and traffic conditions and will also include normal stops, hill and angle starts. Recently passed your test, not ridden for a while or just want to improve on your riding skills? Then why not receive some training to get the best from your riding. Training sessions are normally 3hrs and start with an assessment of your current riding skills. The remainder of the session will be concentrated on the specific areas that you would like to improve on. The Enhanced Rider Scheme helps improve your skills and reduces your insurance. We presently have funding for the ERS Scheme from Cumbria County Council, this is on a first come first served basis until April 2016 or when the money runs out whichever comes first. The council are paying £100 per person for the scheme so the cost to you is only £45, this is for four hours training. You must be a resident of Cumbria and preferably use your own bike, if you haven't got a bike yet you can use ours at a charge of £60 for the four hours. 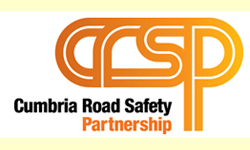 The first is on until the end of October; When you do an Enhanced Rider Course, the council pay £100, (if you have a Cumbrian postcode), and instead of you paying £45 you only need to pay £20.